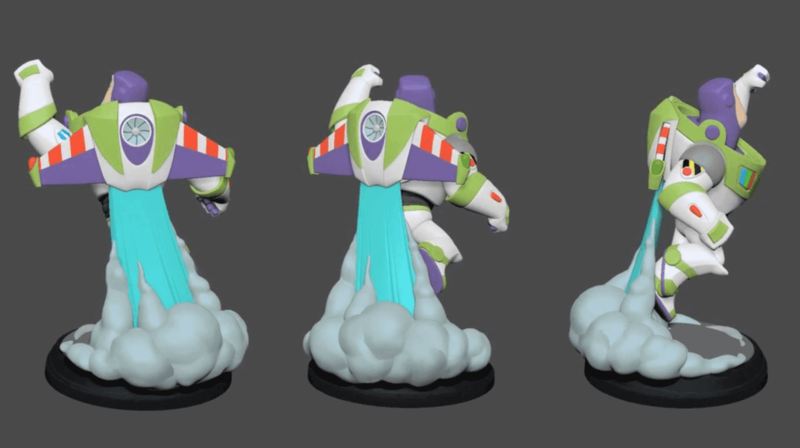 First Details About The ‘Disney Infinity: Toy Box 3.0’ App For Android — Pre-Register Today! For fans waiting for the mobile release of Disney Infinity 3.0, I can bring you some great news today! Disney Infinity has placed the app up on Google Play to give you a chance to ‘pre-register’ so you know the instant it is available. Since it is now listed, we also have the chance to take a look a some of the details. Create your own universe in the Toy Box! Imagine a wide-open world of possibilities where all the characters, vehicles and settings you’ve collected can come together in whatever way you want them to. Create your own crazy game universe where you can make anything happen. Mix, match and mash-up Star Wars™, MARVEL, Disney and Disney•Pixar characters together in one place! Great Characters. Great Adventures. JOIN FORCES. – NEW CHARACTERS – Toy Box 3.0 now welcomes Star Wars™ to the ever-growing collection of MARVEL, Disney and Disney•Pixar characters – including those from Toy Box 1.0 and 2.0! Put your imagination to play with over 80 characters to choose from! Try 3 Characters for Free – They rotate often, so check back to explore new characters and play styles. Play in new Daily Challenges, a mini Play With Friends – Connect online to play and build Toy Boxes together! Access your Toy Boxes from your device, PC, and console. Continue right where you left off on any platform when logged into your Disney Account. Login to your Disney Account in the TOY BOX, TOY BOX 2.0 and TOY BOX 3.0 apps to unlock and carry forward your previous TOY BOX characters. Use web code cards from your physical Disney Infinity Figures to unlock characters in the Toy Box 3.0 app. No details about file size, release date, or anything else is available yet. Thanks dfjdejulio on Reddit for the heads up! Have you followed me on Facebook, Twitter, or YouTube yet? I’ll keep you up on all Disney Infinity news! Don’t forget to come hang out and discuss all things Disney Infinity with thousands of other Disney Infinity Fans at DisneyInfinityFans.com! Be sure to check out my weekly podcast, The Toys For Games ‘Cast. Talk all things in ‘Toys To Life’ genre! Azathoth Matei on GIVEAWAY: Win A Massive ‘Toys-To-Life’ Giveaway To Celebrate The Holiday Season!